Ultrashape Blasts Fat Away From Trouble Spots, Just In Time For Bikini Season. Can you believe that? It’s called Ultrashape and it targets fat cells by using focal ultrasound technology. It’s the same type of technology used to blast away kidney stones. 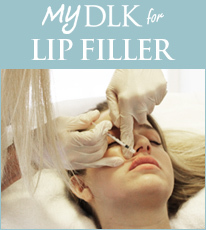 Dr. Lisa Kellet’s clinic, called DLK on Avenue, is the first in North America to offer the treatments. Check out my one-on-one with the dermatologist. The treatment is ideal for people who are fit and healthy but have stubborn areas of fat. It is not a weight loss procedure. This machine is ideal for large areas like stomach, thighs, buttocks, and hips. The machine doesn’t target smaller areas like upper arms or chin but I here there may be one made eventually. Each session takes about an hour and you will need 3 sessions, three to four weeks apart, for each area. Here’s the best part, patients can see results pretty quickly about a 2 cm loss after one treatment and 4 to 7 cm gone after 3 treatments. Each session costs about $800 to $1000 depending on the size of the area. Just check out these before and after shots. The first two in the bikini were done by Dr. J. Moreno-Moraga in Madrid, Spain. In the photo below, although the buttocks looks bigger, it’s the stomach area that you see the difference.